Museum Advocacy Day is coming February 23, 2016! This is a great time to get out and learn about what goes on in the Legislature and a chance to meet your Senator and Representative. Yes, it might sound elusive to go visit the Capitol, after all, it’s a big stretch for us to go from Wheeler Farm to the Hill. That being said, I’ve actually enjoyed my time at Museum Advocacy Day. I’m cruising in to my third year of attending and it feels more comfortable each time. My first year was probably the most thrilling, as I had no idea what to expect, what to bring, what to wear, where to go or who I would be meeting. That year, I met both our Senator and Representative who were both big fans of Wheeler Farm. I also got to spend time with my museum friends, new and old. I was surprised by how many school tour groups visited the museum exhibits and thought about how I might improve things for our table the next year. It’s a great opportunity to reach a broad audience. 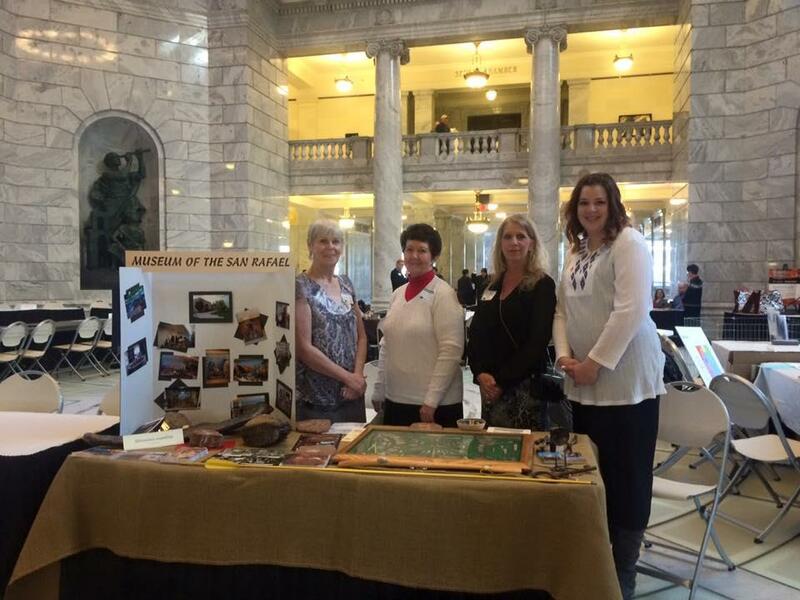 Last year, I also helped represent the Murray City Museum, which was quite educational, as their Representative was not familiar with them yet—which shows how important Museum Advocacy Day is for all of us! 2. Gather up items you’d like on your table to help tell the story of your organization. I like to think about what is portable (especially if we get snow again!). This year, I thought for extra fun we’d attempt to bring our Flemish Giant Rabbit. 3. Personal comfort: Water bottle, snacks or lunch, a rolling cart can be handy to bring your display in to the building if it’s going to be awkward. What to wear: Dress for your museum, dress to be comfortable.